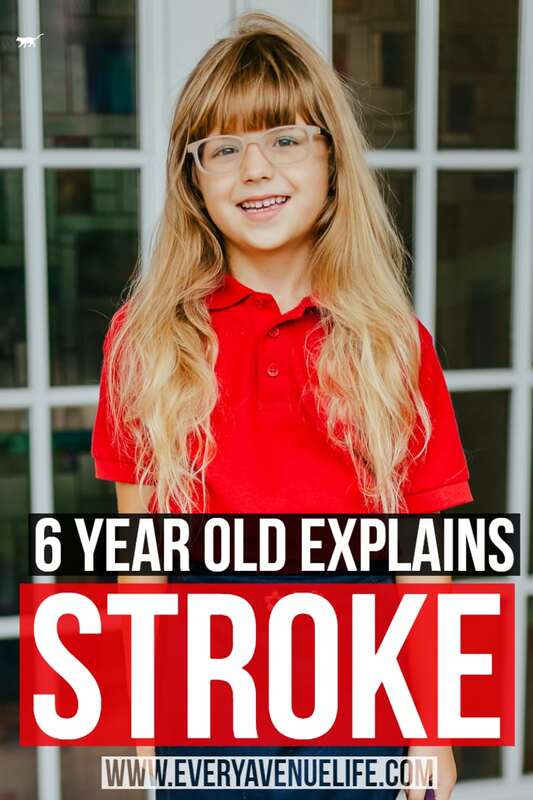 How much does Lexi knows about strokes? One day Lexi walks up to me and says “Mommy, I need to test you for a stroke!“. Ok, I say and proceed to have my mind blown over what she was about to do to me. -“Brainfeed“, she smiles and walks away after explaining why I am going to be ok and not have a stroke. I am used to her coming to me with some amazing information that no 3-4-5-6 year old should be able to know or comprehend ( see her “quantum physics concept of entanglement video” as example), so I found it nothing more than amusing at that time. So a few weeks later, we were are lunch with some marketing reps from Mall of America and she started talking about stroke, using big words like “hemorrhagic” and “perforated“… I sat there with my mouth open, along with the whole table staring at her in disbelief. There I heard the whole story about strokes. She knew sooo much more than she had told me that day she was testing me for stroke signs. So a week or so later, I asked her to tell me anything else she knows about strokes, so she told me how they are treated, how the surgery goes, why they happen and why we don’t feel them. All while using VERY technical terms. “That’s it, I said, we are filming it! I can’t believe you know this and are using this information and these words so casually!” I couldn’t even describe myself what she had said the first 2 times she recited this info. So we sat down and filmed a video for her YouTube channel, as the first video in the “Learning with Lexi” series. Incredible!!!! She is so smart!! !